As a builder, we know that having a good foundation is crucial to a well built project. Bonilla Design is a company that works with you to create a good foundation to build your company image and print materials. Nicole and Gabe Bonilla have artistic and creative insight. They are able to take your business ideas to new levels with intriguing layouts, quality presentation, and creative verbage. Customs West Inc. – Builder of Fine Custom Homes, has been very pleased with the services of Bonilla Design. We are happy to recommend them to others who have come to expect great ideas and service. –Pat Brady, President, Customs West Inc. I can’t say enough about the fine work that Bonilla Design has accomplished at OpenTech Alliance. Prompt, friendly and a pleasure to work with, we highly recommend Bonilla Design for your design & development needs.–Michael Sawyer, Director of Marketing, OpenTech Alliance, Inc.
We were put in contact with Nicole Bonilla to design our Souvenir Pageant Program for the Miss Rodeo America Pageant and working with Nicole was such a breeze! The design she put together for us was very different than what we have had in the past and was exactly what we were looking for! We have had the privilege of working with Nicole the past two years and look forward to working with her in the years to come! 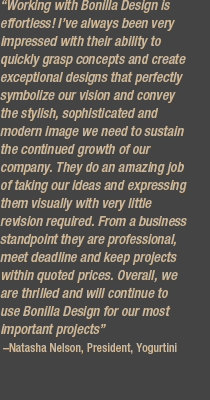 We highly recommend Bonilla Design for any design services you might need! –Whitney Seufer, Miss Rodeo America, Inc.